I had the opportunity to sit down for an extended interview with the Texas Stars General Manager and Dallas Stars Director of Minor League Operations, Scott White. This is the first in a multi-part article about his history, time with the Stars and the role of an AHL GM. In Part 1, we’ll discuss how White got to Texas and the team’s first season successes once he got here. As with anyone in hockey, it was a long and winding path for Scott White to get to his job as the Texas Stars General Manager. He credits much of his success on his ECHL roots, both as a player and a coach/GM. However, both his playing and coaching careers started with college hockey with the Michigan Tech Huskies. White played at Michigan Tech for four years and was drafted by Quebec Nordiques in the sixth round of the 1986 draft. After 93 points in 154 games of NCAA action, White played for the ECHL’s Greensboro Monarchs in the 89-90 season. White played in the ECHL, IHL and AHL across a five season playing career. He had his best years with the ECHL’s Greensboro Monarchs and AHL’s New Haven Senators in back-to-back season, putting up 84 points in 57 games in Greensboro and 54 points in 80 games in New Haven. 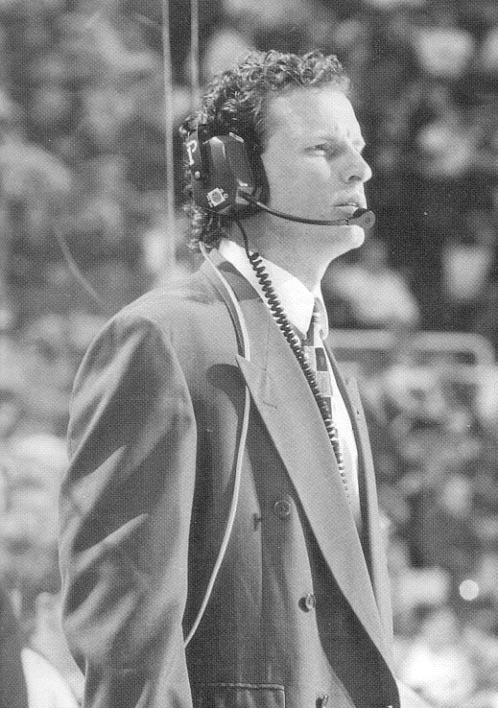 At the end of the 1993-94 season, White made the switch to behind the bench. Michigan Tech, located on Michigan’s Upper Peninsula, was White’s home for the next five years as he bided his time looking for a head coaching job. There was word of ECHL expansion on the horizon and an assistant coaching job in a familiar city was a great place to start getting his name in the running for a head coaching spot in the league. After just one season with the Greensboro Generals, the call came to become the new head coach of the ECHL’s expansion Columbia Inferno. White was able to secure an affiliation with the Vancouver Canucks and the Manitoba Moose for the new club, a huge coup for a first year head coach/GM. The Inferno made the playoffs in each season with White behind the bench, making it to the Finals in 2002-03 but losing to the Atlantic City Boardwalk Bullies in five games. After four seasons, White and the Inferno parted ways. Despite success in the ECHL, there were no AHL coaching jobs on the radar, and White was unsure about taking a run at an assistant coaching job in the American League. Then the Dallas Stars called. 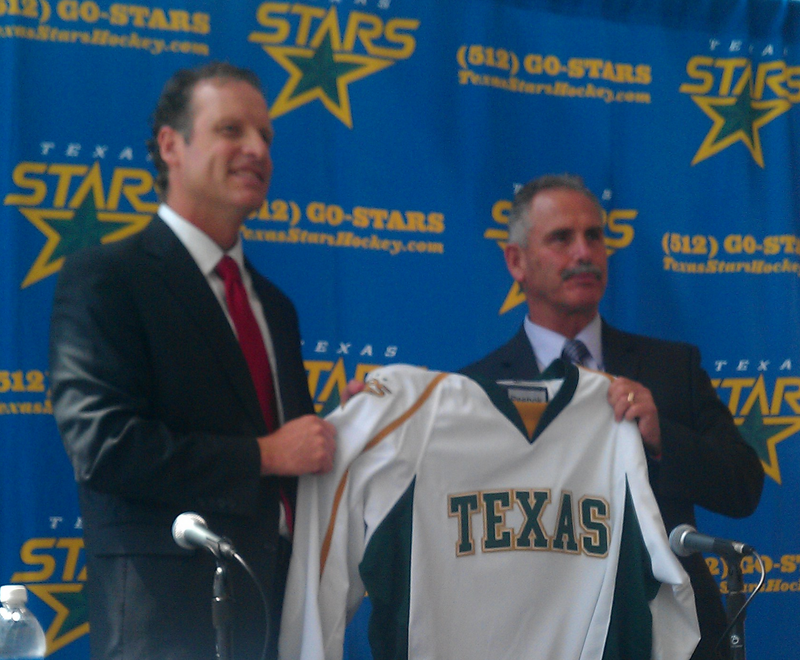 Immediately, White was tasked with the same job as he has now for the AHL Iowa Stars, which was in its first year of affiliation with Dallas. During the lockout, Dallas had affiliated with the Houston Aeros and the Utah Grizzlies before that. Just three years into the Iowa affiliation, however, Dallas decided to begin work on a new affiliate relationship, including a new building in suburban Austin. For the 2008-09 season, White was an AHL general manager without an AHL team. However, as director of minor league operations, he was still tasked with making sure that Dallas’s prospects developed into NHL caliber players. Those players were assigned to various different teams all across the AHL. Maxime Fortunus and Raymond Sawada, for example, went to Manitoba, and Aaron Gagnon went to Grand Rapids. Others went to Hamilton and Peoria. Building a Winner: Who Do We Have? 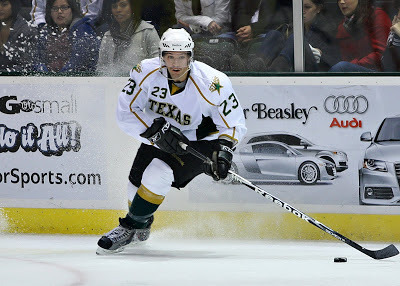 As the 2009 AHL season approached and soon-to-be Texas Stars fans were buying season tickets, White was spending the summer solidifying a roster and staff that would go very deep in the playoffs less than 10 months later. The first decision for the young club was the matter of who would be behind the bench. The Stars went with a trusted source for coaches and players in the ECHL. It was a decision between the Las Vegas Wranglers’ Glen Gulutzan and Idaho’s Derek Laxdal. Gulutzan would get the job. “Les Jackson and I were involved in getting [Gulutzan] here in the first place, but it was ultimately Les's call.” Texas added Paul Jerrard, who had assisted all three years in Iowa, to the staff as well. Then it was down to the roster. White hadn’t seen these players together for over a year, but knew what he had overall. Texas had two lucky breaks with PTOs from the ECHL turning into strong players in their first seasons in the AHL. Greg Rallo and Travis Morin both came to Texas on tryouts that first season, which is surprising given their contribution to the club in the first season and beyond. Morin was a case of the team and its scouts doing their homework. Eventually both Morin and Rallo earned NHL contracts: Morin with the Stars and Rallo with the Panthers. As every Stars fan knows, despite their miraculous season, the Stars lost to the Hershey Bears in six games that summer of 2010 after taking on the best the Western Conference had to offer and winning. In Part 2, which you can find here, we’ll discuss the lessons learned in the losing season, the role of an AHL GM and hopes for the future.